Serviceberry tree. Photo by Jose German. 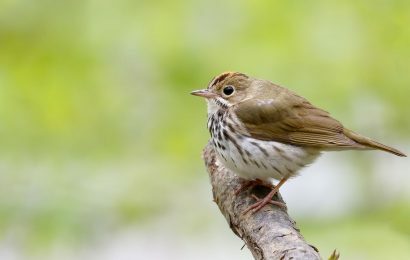 For most songbirds, the regimen of day-to-day living takes place mostly under cover. The first step in adding cover to your yard is taking stock of what you already have. Think about the trees on your property. Do they produce seeds or fruits for birds to eat? Are they large enough for birds to nest in? Do you notice birds spending time in the trees? If so, you have a good start on providing benefits for birds. Among deciduous trees, birds especially enjoy maples, hawthorns, oaks, dogwoods, crab apples, mountain ashes, mulberries, serviceberries, and cherries. In the evergreen department, birds seek out hemlocks, spruces, firs, pines, and redcedars. 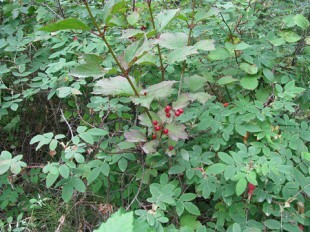 Highbush cranberry bush. Photo by Arthur Chapman. If a row of trees borders your yard, consider adding bushes in front of the trees to provide cover for shrub-loving species. 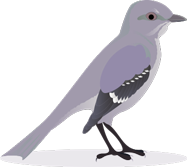 Songbirds such as bluebirds, towhees, buntings, catbirds, and cardinals prefer the edges of woodlands for feeding and nesting. Bushes appealing to birds can also be placed alongside the house or as a hedgerow, providing a choice form of cover for many backyard species. 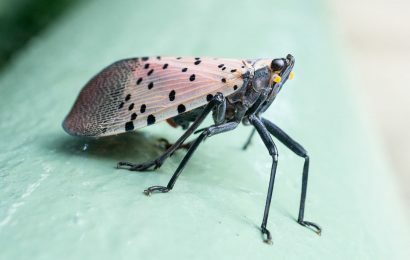 Bushes that provide quality cover include privet, viburnums (American highbush cranberry, arrowwood viburnum), hollies (such as winterberry and yaupon), elderberry, native honeysuckles, bayberry, wax myrtle, and boxwood. Five inspiring backyards that birds really love. 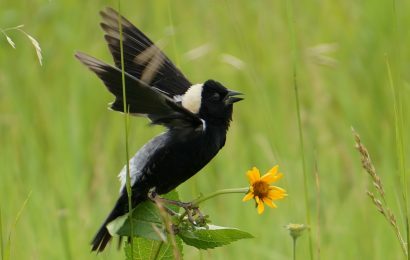 Study: Common seeds that attract birds best. 15 products that prevent windows strikes. Comfort and solace: The healing power of birds in the backyard. 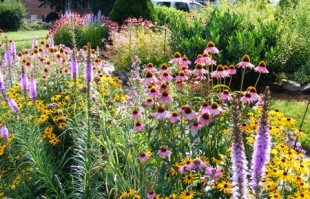 Purple coneflowers, black-eyed Susans, and liatris bloom in Montclair, New Jersey. Photo by Jose German. To complete the picture, plant an assortment of wildflowers in front of the bushes. Wildflowers such as red bergamot, bee balm, and cardinal flower produce blooms that attract hummingbirds. Purple coneflower, black-eyed Susan, blazing star, ironweed, sunflowers, and asters attract butterflies and additional insects that birds may eat. 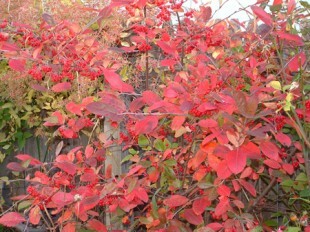 These plants also produce seeds that finches and sparrows enjoy in the fall. 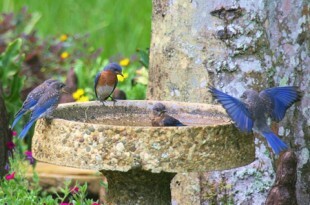 A family of Eastern Bluebirds bathe in a bird bath. Another way to draw birds to your backyard is to provide water. The sight and sound of water attracts birds, for birds need water for bathing and drinking. The pedestal birdbath is probably the simplest and most familiar method of providing water. Many small baths now come with drippers or misting devices that add the sound of trickling water, thereby improving the bath’s chances of attracting birds. If you opt for a larger pool, there are many shapes and sizes of plastic preformed pools especially made for backyards with limited space. These pools often come with different levels for adding aquatic plants and a submersible pump to recirculate the water and create a waterfall effect. You can find additional information about attracting, enjoying, and understanding backyard birds in each issue of BirdWatching. 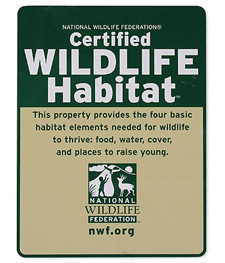 The National Wildlife Federation has designated more than 150,000 yards as Certified Wildlife Habitats since 1973. Certification acknowledges steps homeowners have taken to restore the ecological balance of their properties — by conserving natural resources and providing the basic habitat elements of food, water, cover, and places to raise young. You can join them. Learn more about the NWF Certified Wildlife Habitat Program and obtain a starter kit containing a planning guide and tools to help you design a home for wildlife, or learn how to turn a schoolyard into a NWF-certified Schoolyard Habitats site. The Humane Society of the United States offers a similar program encouraging Urban Wildlife Sanctuary Certification. Learn more about it here.